In 1905, the United States Government purchased from the Crow Indian Tribe a portion of their reservation known as the “ceded strip” and opened it up for homesteading. 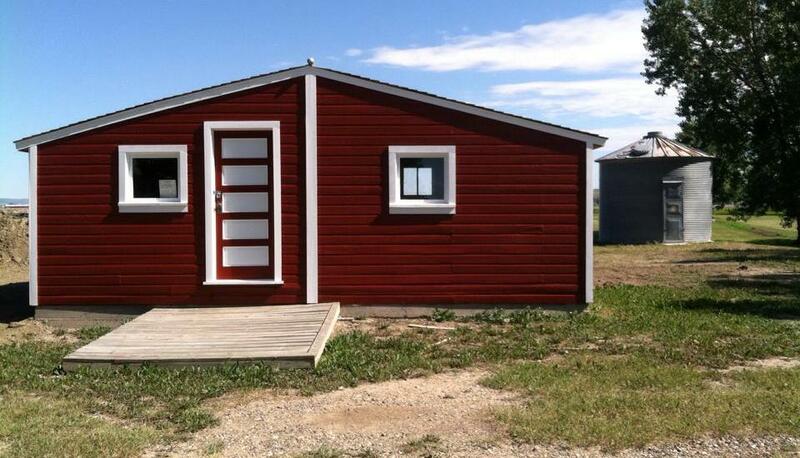 “Proving up” on a homestead was accomplished by building a standard homestead shack at least 9’ x 12’ and breaking sod. John Torske came to America from Norway in 1908. It was a custom in their homeland to pass the farm to the oldest son. The other children had to find other opportunities. His homestead consisted of 160 acres, located on the west bench, southwest of Hardin. John built his homestead house and then added onto it when his sister Sarah came to this area. The building was donated by the Torske family and moved to the museum in 2008.